Top layer is light chiffon type material. Pretty ladies baby pink lined top. Sleeves not lined. Length (shoulder to hem) approx: 25". Pit to pit approx: 21". Fixed ties on back of neck. Lovely colourful top. Comes from a smoke free home Happy to combine postage. Wallis Ladies Top Size Large . Condition is Used. Dispatched with Royal Mail Signed For® 2nd Class. Length 35". In very good condition. Ladies Wallis Red Floral Top Size 18 New Without Tags . Dispatched with Royal Mail 2nd Class. WITH LACE INSERT. WHITE LONG SLEEVE TOP. SIZE 12/14. Wallis top size xl. Condition is Used. Easy wash and dry, no need to iron! Dispatched with Royal Mail 2nd Class. Pretty scoop necked long sleeved top by Wallis, size L. Top has 3/4 sleeves. Top is longer style and loose fitting. Material is soft and silky. Colours are navy, white and turquoise. 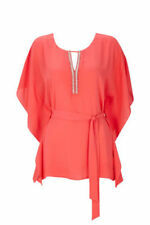 This top has been worn and is in excellent clean condition. Hi I have for sale ladies medium top with Wallis. Long sleeve or three quarter sleeve. Polyester black/beige Will need to be worn with a camisole underneath. Fluted cuffs. Crochet panel trim to sleeves. A really lovely ivory blouse top. Floral Top With tie front. A stunning pink mix floral 3/4 sleeve top from Wallis size M.
WALLIS Summer Top Beige/Pink/Blue/Green/White Floral Print Blouse UK Size Small. Condition is Used. Dispatched with Royal Mail 2nd Class. This soft top is in good condition. Wallis Size 18 Sleeveless Top. Beautiful colours and floral pattern. Buttoned back. Silky feel. Perfect for summer. Condition is Used but excellent. Dispatched with Royal Mail 2nd Class. Wallis Purple & Blue Floral Print Sleeveless Top, With Handkerchief Hem, Size S.
Wallis Purple & Blue Floral Print Sleeveless Top, With Handkerchief Hem, In Size S.. Top is in very good condition. 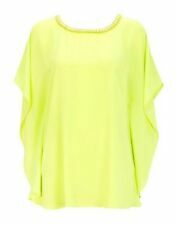 Lovely floaty top for spring/ summer wear, in a light silky material. The approxamate length from the shoulder to the hem is 27 inches. Dispatched with Royal Mail 2nd Class. From a non- smoking household. Wallis Petite polyester top with deep V neck, dipped hem and long sleeves with small buttons at cuffs. 3 hidden buttons at neckline. 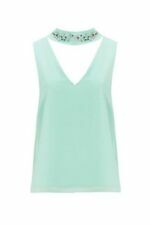 Wallis Sleeveless Flower Floral Print Top T-shirt White Black Size 8. Dispatched with Royal Mail 2nd Class Large Letter. 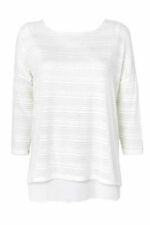 ladies wallis top medium. Condition is Used. Dispatched with Royal Mail 2nd Class. The sleeves can be rolled up! Wallis top 12. Used but in good condition. Lovely cool top with back button fastening and pleating to front from neckline. Stone & black geo tribal print. Tie front top. Soft feel jersey fabric with give.